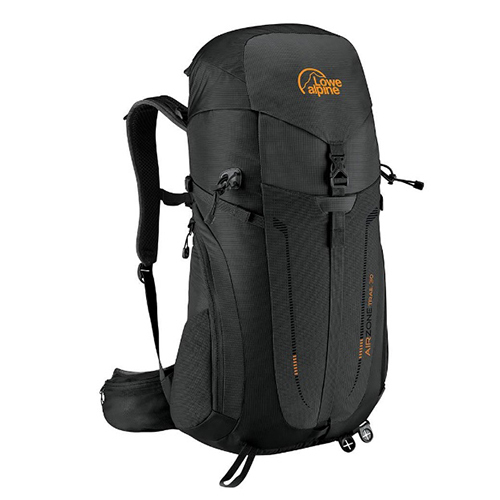 Hitting the trail should be straightforward and so should the design of a pack. The AirZone Trail 30 delivers all the features you need to make it easy to pack up, pick it up and go. Since life on the trail is not always so straightforward there are plenty of extras features to help carry all the things that you might need. Hipbelt pockets for the phone, easy-access zippered front pocket for the have at hand trail snacks, walking pole tip grippers for secure pole storage and a built in raincover if and when the sky turns dark and stormy.